The day my wife and I dreaded but knew would come, happened. This story, I think, ends well which is a good thing. So stay with me. At a local place of learning, during their year end celebration, my sons dance team performed one of their award-winning routines to the assembly as part of the festivities. Somewhat surprisingly, the group was greeted with some elementary school mockery and ridicule by a select group of students. A mix of girls and boys from the audience elected to sling a homophobic slur at the three boys in the dance group. My son was one of them. We are not naive: male dancers can be like unicorns in their community just because of the gender disparity in that field. It opens them up for potential negative feedback since their pursuit doesn’t have a helmet or a bat. My guess is that this is an unfortunate common occurrence to many of the male dancers out there. My guess is that they just dance on. Needless to say, the seven dancers I picked up from the event (including two of the boys) were crushed. A life lesson was being taught in real time in the back of the family Honda Pilot. We took the moment seriously and just will hope to keep our son (and the other dancers!) focused on the good and see the positives of his and their commitment to dance. And to dance on. The studio and teachers where these kids dance was awesome in its support: talking with the team and addressing it with the school. The instructors took time to address the dancers during classes and spoke on staying strong and not letting the experience keep them from their passion. Specifically for the boys, the support has been genuine and heartfelt: dance teammates, friends, family. Our belief is this (with all the support they have above) will only make them more resilient. I know that he will dance on. Mary and I have decided to take this positive spin on what was an unfortunate reality check and create an opportunity that will help fund the basic fees for boys to attend any supportive studio, a child who hopefully is looking to take the "not so traveled" extracurricular road and be one more light in helping socialize the message that dance is for everyone, no matter the gender. So hopefully we can try this! 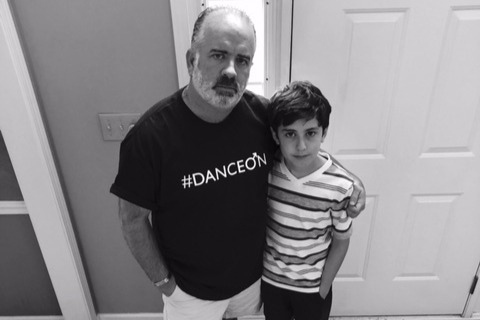 We have created #DanceOn apparel and all the net proceeds go to fund boys dance scholarships and programs. Our hope is that the funding will help attract (and maintain) more boys into the wonderful world that is dance. 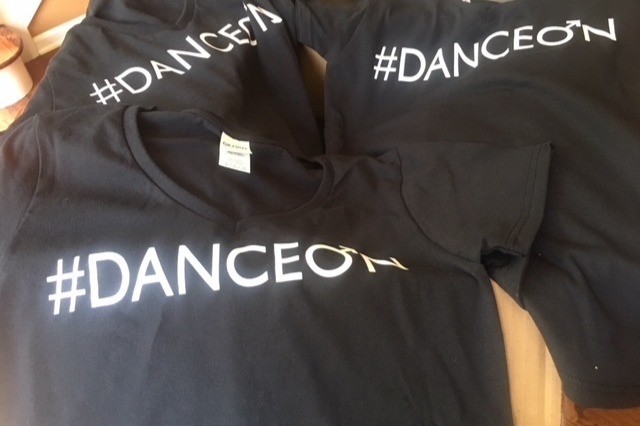 Just include your size(s), woman/man/child designation and an email address in the donation free-form section so I can get the #DanceOn apparel to you! You can Facebook PM me too if that's' more comfortable. We have already handed out over 20 scholarships and supported two special needs programs and one studio! If you would like to forward this onto your social media family, we welcome the opportunity to broaden the message! Thank you in advance for your support! 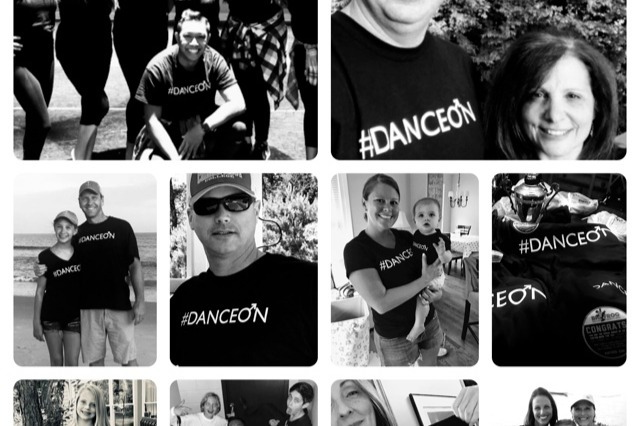 To those who are looking for an easier way to donate or order #DanceOn apparel we recently opened up our website which can be easier to navigate. Please check us out at danceonchicago.com and select the Shop option from the menu bar! Just ten days later and we have blown by $8,000! Mary and I are still trying to soak it all in...but we are moving and working with so many: two boys dance scholarships and a third in the works....the ongoing structuring and funding of a male instructor led series of Master Classes for the fall and Spring at MidWest Edge for boys and girls...a donation to an independent documentary film maker whose nearly completed work on male ballet dancers and their journey is taking flight! This is YOU....you have made this little T shirt deal a movement...a cause....a reality! 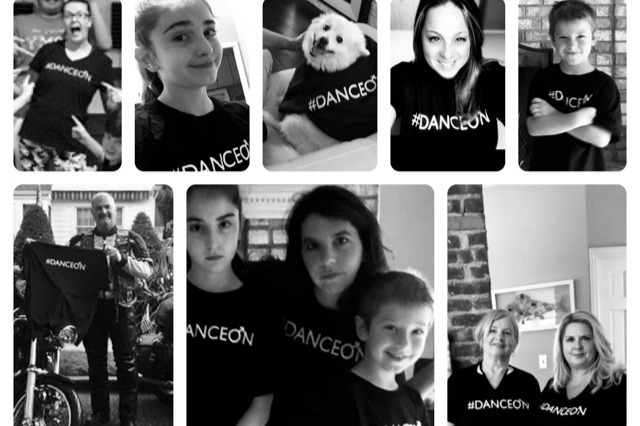 All we can say is help us keep it going, spread the news...and #DanceOn! 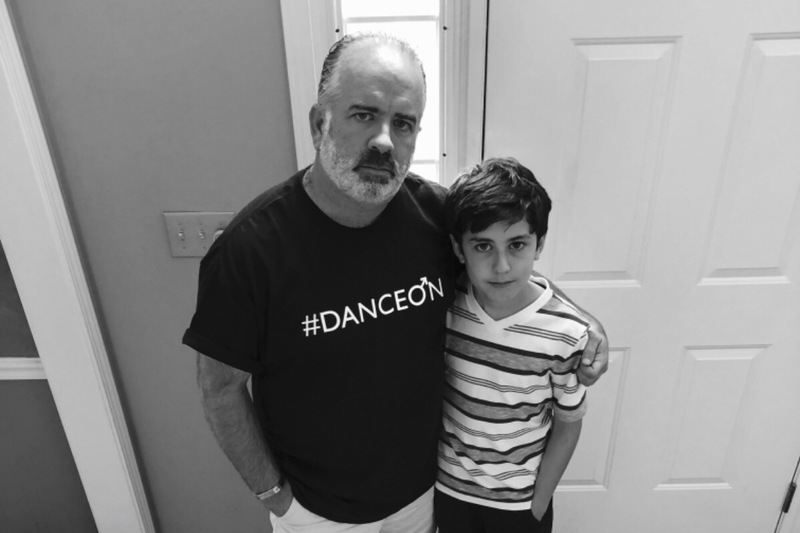 Mary and I have a number of meetings coming up this week, including our son's studio, to start formulating the foundational programs to support boys dance. So many ideas, so many opportunities....all because of YOU. Please keep sharing pics and posts as that is really how this has grown. We need you! #DanceOn! Thank you all for the continued support and as importantly, the sharing of the message! Mary and I cannot wait to hand over the first check to support boys dance and programs at the studio! DanceOn!